Our tech department has written some great blogs the past couple of months on upgrading your ride. They are full of really good advice and knowledge about how to make your engine fit your riding style. And I’m all about that! 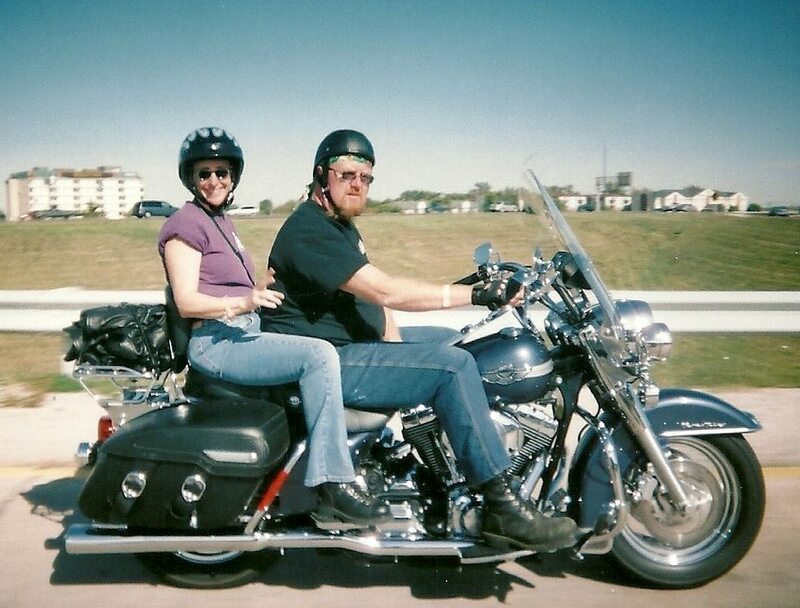 Everyone knows I enjoy riding behind Jan and going on long trips on a fast, dependable machine. Not only are our motorcycles dependable they are comfortable. I can ride for long distances, often gas tank to gas tank, because the passenger seat works. If your passenger is not comfortable, well, we’ve all heard that saying “If mama ain’t happy, ain’t nobody happy”! I’m writing about this following our winter vacation in 2017. With shorter days and a short opening to take off, Jan and I flew out to Arizona and borrowed a motorcycle. We were so very blessed to have a good friend lend us his motorcycle as they were back here during our visit. Jan and I were all too happy and honored to borrow his ride. Jan could attest to the bike being dependable since all maintenance is completed here at Chariots of Fire Customs LLC. This particular motorcycle has the original factory seat. Works great for the driver, however not so much the passenger (now I’m not complaining, just being honest as I know the person we borrowed the bike from is reading this also). I did not last for more than an hour without having Jan pull over so I could stretch. Especially after a few days of riding. I am telling you this story because I want you to think about your passenger. When upgrading your baby, think about your baby on the back. The motorcycle we borrowed, well his baby has her own ride, so the seat works for him. If your honey likes to ride behind you and cuddle and whisper sweet nothings in your ear like I do with Jan, you better make sure her fanny is comfy! Girls, this one’s for you! Come by the shop and mention this article and we will give you 20% off any seat. I HIGHLY recommend a Mustang seat.